Tight hips, achy back, swollen feet, pelvis pain… All you mommies-to-be are not alone. Centuries of women have felt these pregnancy aches and pains. Here are few yoga poses for pregnancy pain to use daily as pain arises, and to prevent it from getting any worse as your pregnancy continues. Use this posture to strengthen your thighs, taking some of the weight out of your back. Keep your feet wide in Chair when you are pregnant to maintain balance, but also to leave room for baby. 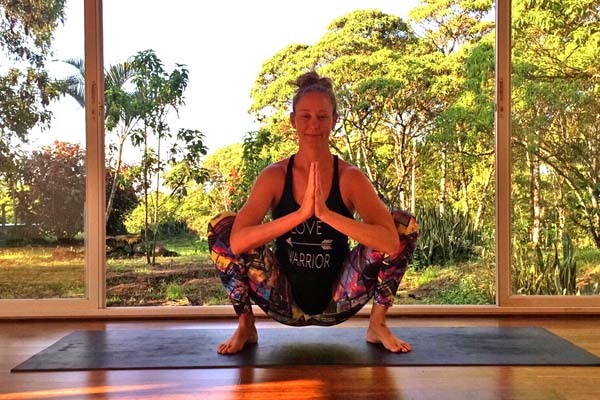 Chair Pose strengthens your thighs, and if you don’t sit too low it will strengthen your back muscles at the same time. In fact, when you are standing anywhere try to think about putting a slight bend in your knees to take some of the pressure out of your back. A super delicious stretch for relieving back pain one side at a time. Use the forearm on your thigh modification even if you don’t usually — this will help you use it to stretch your side body instead of to build core strength. 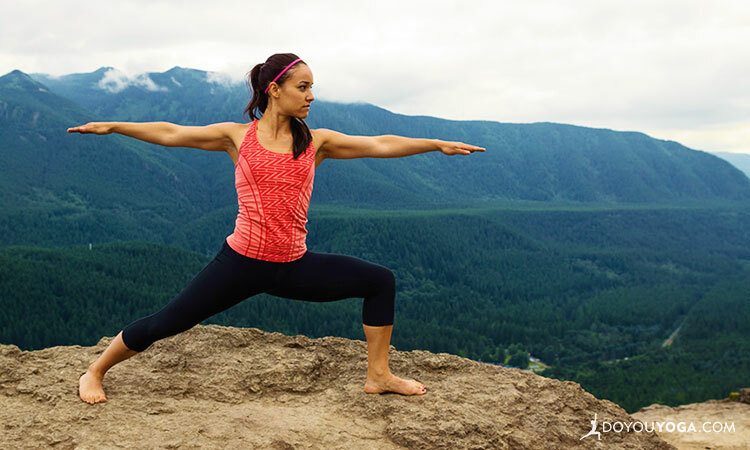 Use Goddess Pose to get deep into those hips at the same time as strengthening your thighs! Not only will this posture relieve pelvic floor pain, but it is also there to help open your hips for birth. Opening your hips laterally is key to reducing back pain, and this particular pose helps to soften the pelvic floor too. Perch here for 10 -20 breaths at a time, particularly when you are close to your delivery date (hello gravity!). A great alternative to all the other Pigeon variations that can be challenging when you have a growing baby in utero. Double Pigeon is a bilateral hip opener so you get twice the juice as you would in any of the reclined variations. The more open your hips the less back pain you generally incur. In this posture make sure your feet stay flexed to protect your ankles, and your shins stay parallel, especially as during pregnancy you are more likely to hyperextend, which is not good for your joints. Focus on closing the gap between the bottom knee and the floor only. Use this as a meditative time to reduce tension in your soft tissues and mind. You could sit up tall pushing your knees down to dig deeper into your hips and legs, or place your hands on the mat behind you and lean back to open your chest. Maybe you simply bow forward to turn quietly inward. Stretch out those tired legs with this version of the splits. Again, you could lean back, sit tall, or bow forward depending on your mood or comfort level. Remember to avoid deep twists that may compress your organs (and child), lying on your back past the middle of your second trimester, and be careful if you spend time upside down as your weight distribution is different daily and widen your yogic base in postures by taking your feet wide on your mat in all postures to keep you from falling. Your body and your baby are more important then the shape.